Modulating the effect by the existing sharpness. We sometimes want to blur areas that are already blurred, or sharpen areas that are already sharp, or both, or some other combination. The Slopes page shows how we can do this by modulating the blur by the slope. This page develops that method. The script on this page applies a Gaussian (circular) blur. It is isotropic, meaning the same effect is applied in all directions. 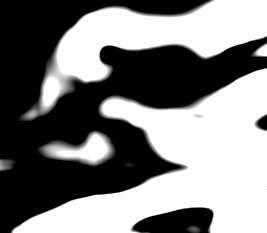 A related effect applies a linear blur/sharpen, either parallel or perpendicular to contours, so it is anisotropic. See adapContBlrShp. The script adapBlrShp.bat blurs or sharpens an image, with the greatest effect either where there is most detail (the edges) or where there is least detail (non-edges). The input is mandatory. All other parameters are optional. As usual, a dot "." may be used as a placeholder. The script adapBlrShp.bat blurs an image using a mask that is white where there is most detail, and black where there is least detail. By default the mask is negated, so the blur is greatest where there is least detail. The blurred result is blended with the input at a certain percentage. The default percentage is 100 so the result is the blur. Alternative percentages include zero so there is no effect, and -100 so the effect is a sharpening. Other values can be used, eg 50 for a reduced blur or 150 for an increased blur. Blur sigma is the primary control for the amount of blurring, with positive blend percentages between 0 and 100 aimed at animation control. (Blending blur with the original creates ghosting.) However, negative blend percentages are used for sharpening by unsharp-mask. Blend interpolation (between 0 and 100, inclusive) is unlikely to cause OOG and hence clipping. But blend extrapolation (negative values) is likely to cause OOG and hence clipping. Indeed, if the input is auto-levelled, extrapolation is almost certain to cause clipping. See Preventing clipping below. 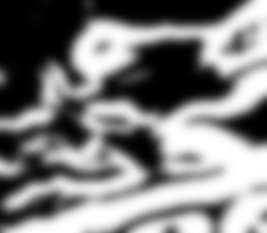 By default, the mask is made from the magnitude of the slopes of a grayscale version of the input, where the slopes are found by the comet blur method. However, a user-supplied mask can be used instead. Apply the mask, blurring the "edges"
There are two sigma controls: one for the edge detector, and one for the actual blur. There is practically no difference between the colorspace versions. Or we can save the mask used in the blur, and use the same mask for sharpening. We show the intermediate result and the mask. Extrapolation can cause clipping. Speaking more correctly, it can cause values to go out of the range 0 to 100%, which is out of gamut (OOG), which will be clipped by most file formats. An alternative is to zero slopes that are less than a certain percentage, and reconstruct with Poisson-pasting. See Seamless photomontage: modulating texture. rem makes output %2 blurred most at edges, or most at non-edges. 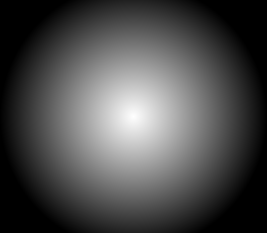 rem %3 E=blur at the edges, or N=blur at non-edges. @rem   16-December-2017 Corrected PREV_COLSP bug. echo Bad BLR_AT [%BLR_AT%] should be E or N.
Source file for this web page is adapblrshp.h1. To re-create this web page, execute "procH1 adapblrshp".